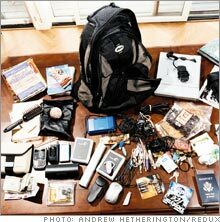 Yes, that is the ENTIRE contents of the backpack that carries the tools I need to run my global operation. I’ve been lugging 25+ pounds on my back for close to 20 years now. I started “wearing” my babies, and then just migrated to “wearing” my business. So I just don’t get what all the hula ballo is about with motrin ad dissing on mom’s wearing their babies being twittered about #motrinmoms. http://www.youtube.com/watch?v=BmykFKjNpdY. I wore my babies for quite a while – the youngest one until she was about 5. It was just far easier and when I went for walks, there was no need to carry weights to get a more intense workout. Their Dad, an avid hiker, would wear the older one and trot up Mt. Si – a very steep climb just outside of Seattle. And he did this up until she was about 50 pounds. Neither one of us ever suffered any pain or damage from doing this – it just made us more fit and stronger. It just seemed natural to “wear” my business in a backpack as well. For a very short period of time, I carried my laptop in a sophisticated looking shoulder bag. I tried a case on wheels, but it was just too much of an appendage. I always go back to just fitting everything I need to run my company into my backpack. 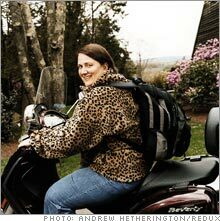 A year or so ago, CNNMoney.com thought it was an interesting enough idea to feature me in their magazine – http://money.cnn.com/2007/08/20/smbusiness/business_backpack.fsb/index.htm. For the most part, I still use the backpack. I had to take a break from it for several months earlier this year because of a shoulder injury. I did NOT get this carrying the back pack – I got it using one of those Chuckit things with the dogs and then aggravated it by carrying a six gallon gas container to my boat. But after much physical therapy in the pool, I am VERY happy to be able to go back to “wearing” my business in my backpack. 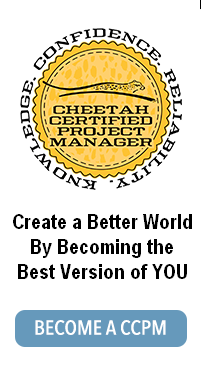 One of my books currently in the publishing process (done writing it) – Business in a Backpack – how I run my 100 person multi-national company (Cheetah Learning) completely out of this backpack, is coming out spring 2009. This entry was posted on Sunday, November 16th, 2008 at 11:48 pm	and is filed under Random Thoughts. You can follow any responses to this entry through the RSS 2.0 feed. Both comments and pings are currently closed. Thank you! A voice of reason in all this motrin madness!